Williams Lake is a beautiful city that is located in the Cariboo region of British Columbia. This interior gem attracts families from across Canada with its charming character and thriving urban community. This is one of the larger cities in the region, making Williams Lake a prime destination for those who would like to escape the large cities of BC, yet still have the benefits of living in a populous urban area. Williams Lake is the perfect location to raise a family, thanks to the excellent schools and university options, as well as the abundance of community activities. Buying Williams Lake real estate and settling in this city means that your family will have the opportunity to be immersed in arts and culture, nature, sports, and recreational activities. This is certainly one of the best places to live in British Columbia. At Cariboo Real Estate, we want you to know why locals love living in this area, and why owning or renting here is a great investment. One of the main reasons why families are so attracted to this city is that Williams Lake offers plenty of activities for children. Here are some of the main attractions and upcoming family events near Williams Lake. – Every year in early April, the community of Williams Lake holds its annual Nutrition Walk and Run. This family event is a great way to bring awareness to and celebrate living a healthy lifestyle. The course is a 5k, and all are encouraged to join in on the fun. This year’s event will take place on April 3rd. – This event will be held on April 30th, 2016. It is geared towards children who are between the ages of two and 10 years. 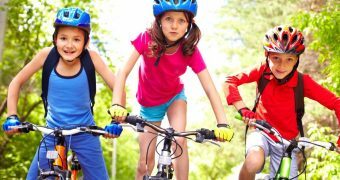 Safety is a big deal in this community, and the bike rodeo has a mission; teach children proper bike safety techniques such as signaling, wearing a helmet and staying safe while on the road. The Bike Rodeo is a free event. One of the main attractions of the Williams Lake area is Scout Island. People travel from all over to see this beautiful nature sanctuary, and it could be a part of your own backyard if you make an investment in Williams Lake real estate. The park is full of secluded nature trails that will take you amongst the thriving wildlife, and also features well-maintained picnic areas, a beach and a boat launch. Your family will enjoy a visit to the Nature House on Scout Island, which overlooks the wondrous marsh that is just adjacent to the park. One of the best times to visit the attraction is the spring season. These are just a few of the events and attractions that make this city a great place to live. If you would like more information about purchasing or renting Williams Lake real estate, take a moment to view our featured listings or contact a representative with Cariboo Real Estate today.